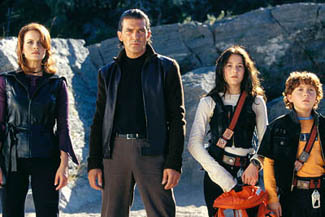 The writer/director (Robert Rodriguez) and cast of Spy Kids have been reunited for this sequel. Robert Rodriguez has given us a few details about this film. Most of it centers around one word: GADGETS! Some of the items he has mentioned are a two-kid-sized "spy-copter," a lunch box that only opens with a secret code, and an automated room cleaner for their house. He also mentioned that the kids will be going on missions with their parents, instead of rescuing them. But will their school principal compromise their secret identities? It seems the Cortez children have been requesting a few too many sick days to go on their adventures. Look for more details to come out as production begins.